Happy 18th Anniversary on 2nd May 2018! Paddy¡Çs Irish Pub & Restaurant delightedly celebrated the 18th anniversary on 2nd May 2018. We thank all of our customers for supporting us since the year 2000! We will continue to serve you Guinness, Kilkenny and others with higher quality in our 19th year as well. Please join us and enjoy them! Slainte! 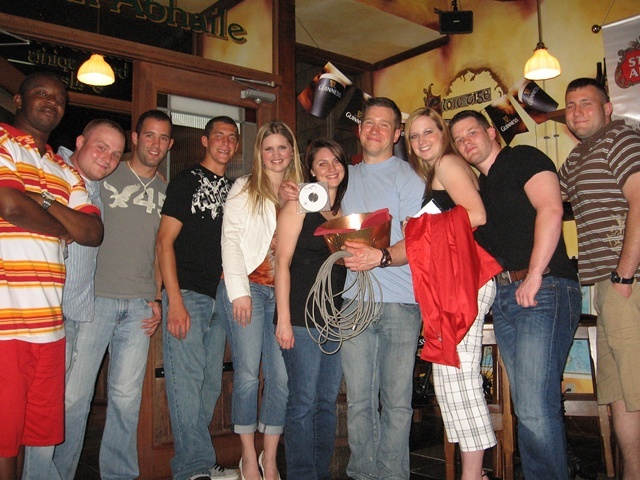 We thank you all for selecting "Paddy's" in 2011, and we will continue to welcome you in 2012 as well. We wish all of you a very Happy New Year! 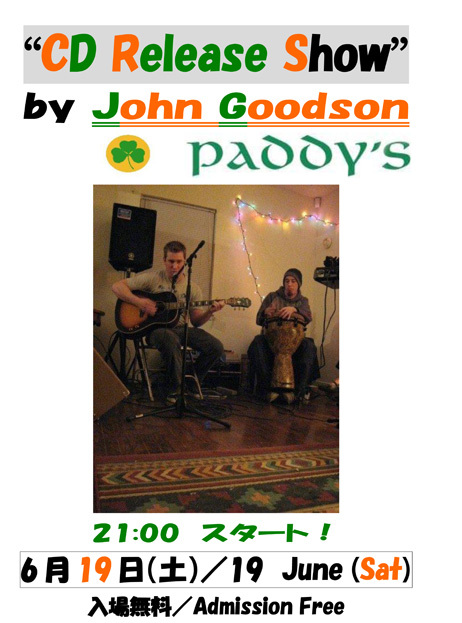 The "CD Release Show," by John Goodson was held at "Paddy's Irish Pub" in Misawa on the 19th of June 2010 and was a great success. We thank all the people who joined the show, from the bottom of our hearts. This was John's final show in Misawa and was also held as a charity donation for Miyazaki farmers who have been suffering from "foot-and-mouth disease" since last April. John kindly made copies of his own music CDs for the event and in one hour was able to raise \35,000 and $54.00. We will continue this campaign until the end of next month and will send the additional donations to Miyazaki immediately. Thank you very much again for all of your support, especially the support from John Goodson.